We’ve all worked on a project which starts with utopian visions, then quickly gets out of hand when the nitty gritty details are encountered. When you are trying to connect up different frameworks and systems in the process, this can happen very quickly. 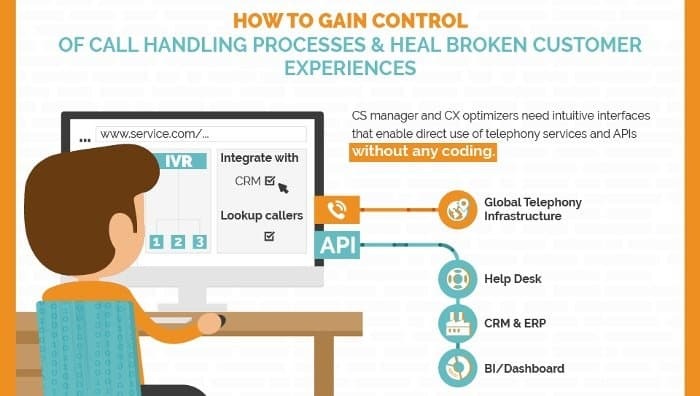 Integrating contact center tools means linking up various different data sources, telephony software and web applications, whilst navigating the challenges of VoIP and CTI (Computer Telephony Integration). The aims are always similar: connect up channels, share customer and call data with CRM and other tools – simply put, to give your agents the information they need to efficiently access an overview of the customer and query, so that they can offer outstanding customer experiences through integrated communications. These challenges lead to the initial vision being lost under side-issues, blocked by infrastructure limitation or “lost in translation” between the stakeholders and IT. 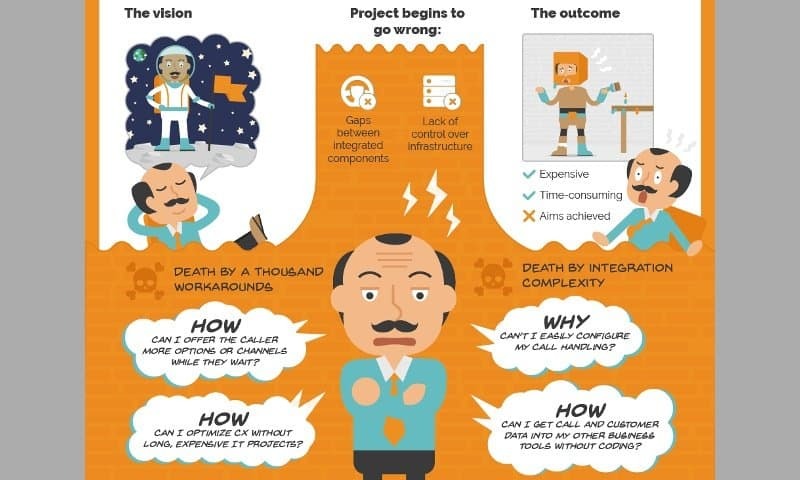 Even if the project is perceived to be delivered successfully, the big problems start when the solution comes up against real-world operations. The answer is to cut out workarounds. Formulate your requirements and aims for the project to be “Change anything, anytime across any integrated API”. The beauty of the innovations available to us now is that this is possible. Make use of the full power of the API economy to make your business more efficient. The interfaces to these new capabilities must be simple and allow customer service leaders to build services without programming knowledge. Otherwise, you will have opened up the power of the API economy but will need relatively expensive and complex software development very regularly. babelforce solves this problem by letting our customers control call flows and integrations to ticketing, CRM and other systems through dynamic workflows without the need for any development. We’ve made no-code a matter of principle by automating complex API actions and packing this key infrastructure and CTI control into the common elements of a non-scary web tool: nice visual things like drop-down menus, buttons and check-boxes.